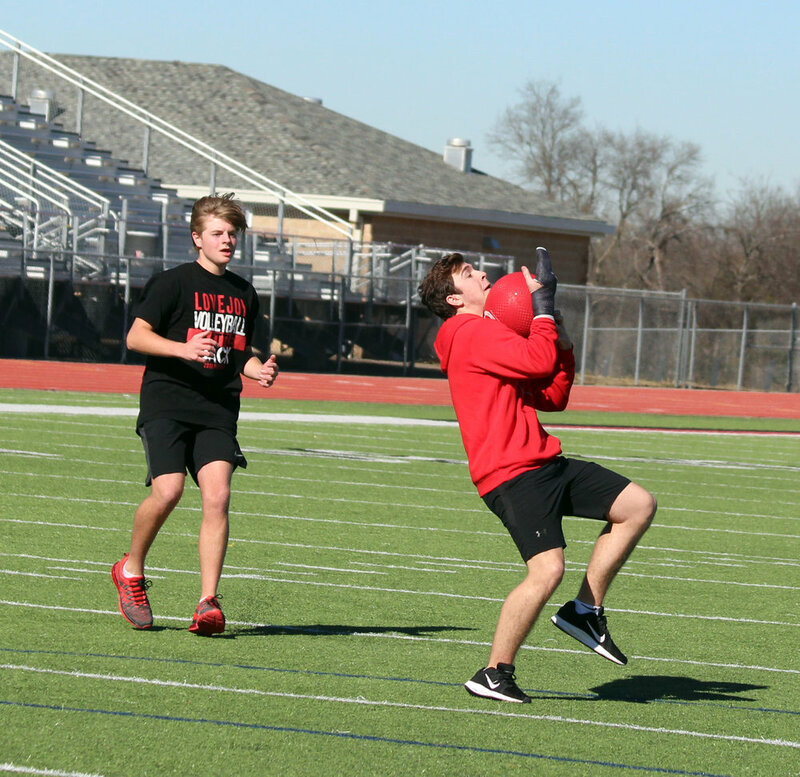 Lucas native and Lovejoy High School senior, Brian Wolfe chose to organize a fundraiser kickball tournament benefiting the Alzheimer’s Association as his senior project. The name of the tournament was Garvelene’s Kickball Tournament. Garvelene Wolfe was Brian’s grandmother. Garvelene lived in Mayfield, Kentucky and Brian said the hardest part of watching her struggle with Alzheimer’s the last 10 years of her life was watching the gradual loss of her ability to communicate. He remembers seeing the hurt his dad felt when his own mom didn’t remember him. Garvalene passed away in 2014. Brian hopes this event has multiple benefits. One goal is to bring awareness of Alzheimer’s to the students at Lovejoy High School. He said, “As kids, we don’t think about this disease that affects older people. It affects millions of people across the country. A lot of families struggle with this.” He also hopes the funds raised will be used towards finding a cure for Alzheimer’s as well as improve the quality of life for those afflicted with the disease. The entry fee per team was $100. Brian raised $500 during this one day event held on Jan. 5. Managing this project was a lot more difficult than he had expected. He said, “Getting community involvement was the hardest parts.” He voiced appreciation to his mentor, former Dallas Cowboy Tony Hill. He said that Hill works with the City of Allen and shared many ideas. He also thanked Coach Puckett and the athletic administration for allowing him to use the football field for the tournament. Because of this experience, he feels that event management is a possible career path he will consider. As his senior project, Brian Wolfe (center, holding kickball) organized a kickball tournament benefiting Alzheimer’s Association. Under a bright blue sky, atop a shimmering green football field, Lovejoy High students rallied together in support of a classmate and the cause he holds dear to his heart. Donations can be made at http://act.alz.org/site/TR?fr_id=11896&pg=personal&px=15829358.